I still remember my first visit to Harvard, for Admitted Students Weekend, and the many factors I was considering when deciding between law schools. Of these factors, one of the most important was whether I’d feel comfortable at HLS. I don’t mean comfortable in the sense of being worried about grades or missing my mom’s cooking (though there was plenty of both). I mean comfortable with the people that would be around me and whether I would fit in as someone whose identity as a first-generation, Latino immigrant is a critical part of who they are. For background, let me tell you a bit about myself. My path to HLS was a bit windier than that of most. Prior to Harvard, I spent four years at Santa Monica Community College in Southern California working various jobs (medical assistant, legal assistant, bank teller) before transferring to UC Berkeley. After two years at Berkeley and another year and a half post college at two different law firms, I found myself on the Harvard Law campus. I immediately convinced myself I was in over my head. One of the big reasons for this was that the diversity I had become accustomed to in Los Angeles wasn’t as immediately seen on the HLS campus. I thought I would be out of place and would be the only person of color in my classes. Fortunately, this wasn’t the case. I soon found the communities I longed for on campus at the annual activities fair. I’ve since become involved with La Alianza (the campus Latinx law student organization), the West Coast Law Students Association, the Harvard Immigration Project, First Class (the First-Gen/Low-Income student organization) and the HLS Admissions Fellows. As an Admissions Fellow who identifies as a person of color, I sometimes get asked if I think the Harvard Law student body is diverse. Admittedly, it’s a tough question. The legal field as a whole isn’t as diverse as it could (or should) be. While HLS isn’t perfect in its reflection of the diversity in our country, I feel encouraged by the increasing number of diverse students I see on our admissions tours and by the commitment our campus affinity organizations have to addressing the lack of representation at HLS. 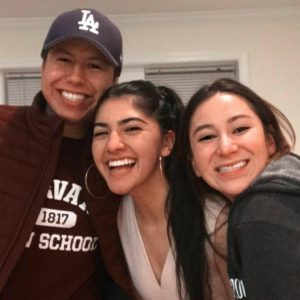 My advice to those applicants or admitted students concerned with the diversity on our campus (or any law campus for that matter) is to be inquisitive and direct with admissions or current students regarding the support systems available on campus for students of color, low income status, or any other facet of a diverse identity you connect with. Only by asking direct questions about the availability of campus affinity groups and school resources available to these communities will you know if Harvard Law or another law school is a place where you will feel comfortable in your own skin. If you have further questions about my journey to HLS or my experience as a first-generation, student of color on campus please feel free to email me at msantostoledo@jd20.law.harvard.edu. Mitchell Santos Toledo is a 2L from Toluca, Mexico, raised in South Los Angeles, CA. He is a graduate of UC Berkeley and Santa Monica College. Prior to law school, he worked as a legal assistant at an entertainment law firm in Los Angeles and as a Sponsors for Educational Opportunity (SEO) Law Fellow at Davis Polk & Wardwell in Silicon Valley. He spent his 1L summer as a law clerk at MALDEF in Los Angeles. 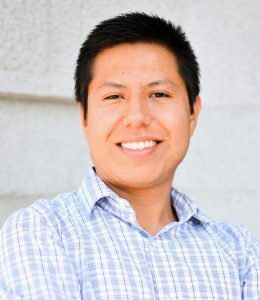 At HLS, he is a Vice President of La Alianza, a member of the West Coast Law Students Association, a junior editor of the Harvard Latinx Law Review, and a part of the Harvard Immigration Project and HLS First Class. He is a passionate sports fan and immigrant rights advocate. In his spare time, he likes procrastinating with reruns of The Office and looking at pictures of dogs to get once he graduates.